Don't spend hours on the web looking for flights and hotels. 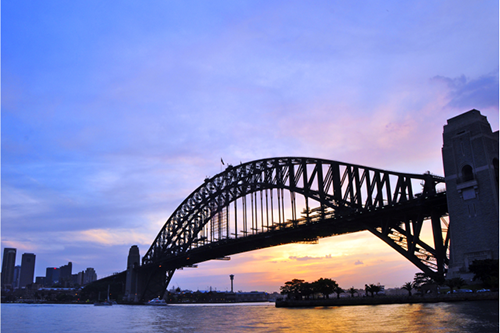 Use Webjet to browse holiday package deals to Australia and find the best one for your budget. Hassle-free Experience: All you need to do is arrive at the airport. Your flights and hotel booking will be handled by professionals. Save Time: Instead of spending hours on flight and hotel comparison sites, you can leave all the logistics to a trusted travel agent. World-class Service on a Budget: Holiday package deals often include discounts you can't get anywhere else, helping you stay at the top hotels in Australia for less. No hidden costs: All your flights and accommodation costs will be paid before you leave for your holiday. The Sydney Opera House is one of Australia's and the world's greatest architectural icons. Inside you can dine at one of the restaurants, sign up for a tour or enjoy one of the performances. If you're looking for the best spot to snap a photo, head to the Royal Botanic Gardens or hop on board a harbour cruise for a picturesque perspective. Made up of 3,000 coral reefs, the Great Barrier Reef is one of the largest living structures on the planet. It stretches for 2,300 km along Australia's east coast and is home to more than 1,600 species of marine life. Visitors can explore the many dive sites, go snorkelling through the reef or admire the underwater beauty from a glass bottom boat tour. Located in the middle of the Red Centre, Uluru-Kata Tjuta National Park is one of Australia's top attractions. It's a World Heritage Area home to Uluru (Ayers Rock) that rises 348 meters above the surrounding desert. Plan your trip around sunset or sunrise to watch the colours of the desert change in the shifting light or join a tour led by Aboriginal guides to learn more about its cultural significance. The Blue Mountains National Park is a UNESCO World Heritage Site. Covering more than 660, 000 acres of wilderness, it boasts dramatic gorges, aboriginal rock art and 140 km of hiking trails to explore. Some of the park's highlights include the Three Sisters sandstone rock formations, the Katoomba Scenic Railway, and the Skyway Scenic Cableway. Another attraction that deserves a spot on anyone's Australia bucket list is the Daintree National Park. The area's natural features hold spiritual significance to the Eastern Kuku Yalanji Aboriginal people and has one of the richest ecosystems in the world. Sign up for a wilderness safari for a chance to spot the giant Ulysses butterfly, Bennett's tree kangaroo and some of the 18,000 plant species. Use budget airlines to get around. Tiger Airways and Jetstar offer lower airfare prices compared to full-service options like Qantas or Virgin Australia. Pack on the sun block. The ozone layer in Australia is thin, and it doesn't take long for the rays to leave a painful sunburn. Before going out for the day, bring along a hat, sunglasses and enough sunscreen to keep your skin protected. The internet in Australia is slow and expensive. If you need to get online, head to the nearest McDonald's to use their WiFi for free or bring along a personal hotspot to stay connected. You don't need to tip in Australia. Due to a higher minimum working age, it's not necessary, and all service charges will be included in your final bill. Swimming between the flags at the beaches is important. Due to strong rip currents, you need to take heed of any warning signs and avoid going for a dip at an unpatrolled beach.